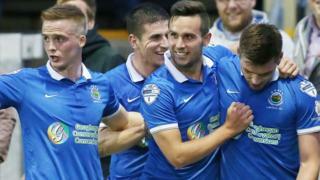 Linfield score three goals in the second half against Carrick Rangers to make it two wins out two in the Irish Premiership. Stephen Lowry headed in the first in the 65th minute with Aaron Burns quickly adding number two. Kirk Miller fired in the third for Warren Feeney's Blues.